C R Datta on Company Law enjoys the reputation of being one of the most analytical and holistic commentaries on Company Law. 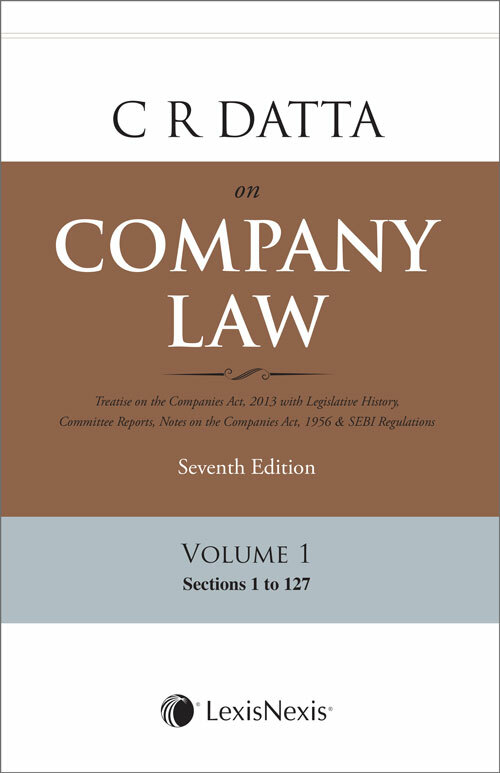 This newly revised seventh edition builds on this tradition, by critically examining the Companies Act, 2013. This work provides clarity where there are ambiguities or lacunae in the law. It scrutinises the various practical difficulties in enforcement of the new Act, and difficulties in interpretation of the Companies Act, 2013. New concepts and compliance requirements introduced by the Companies Act, 2013 have been examined, such as the need for an Independent Director. It also examines all important allied laws that affect and influence the functioning of company law. This edition has the benefit of having witnessed two full years of the Companies Act 2013, as well as the functioning of NCLT and NCLAT.